Teeth are subject to pressures in excess of 68lb/sq. inch when we bite and chew food. Consciously we can clench our teeth to about 150lb. Unconsciously when we sleep, this pressure can be up to 1,200 lb per sq. inch. Human teeth are just not made to support this kind of pressure!! If your teeth that have fillings or dental work, they are even less resistant to these excessive forces. Unfortunately, we don’t know how to stop people from clenching and grinding their teeth. However, what we can do, is to make a custom mouthguard for you. This is a thin plastic device adjusted to fit your upper or lower teeth. The mouthguard acts as a “shock absorber” for the bite pressure. 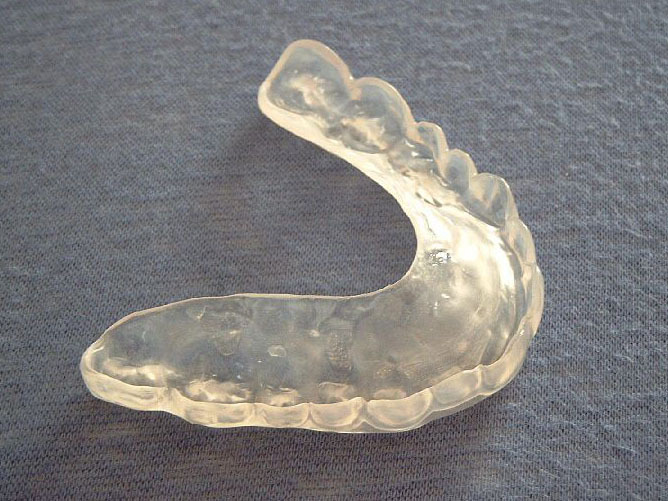 There’s different kinds of mouthguard appliances and we can help you determine which one is best for you. There’s even over-the-counter options, but just make sure you check with your dentist first, because a device that is not properly fitted could end up causing muscle or joint problems. If you have any questions about teeth clenching or grinding, or your jaw is sore or painful, give us call at (626) 810-5000, or visit our website.